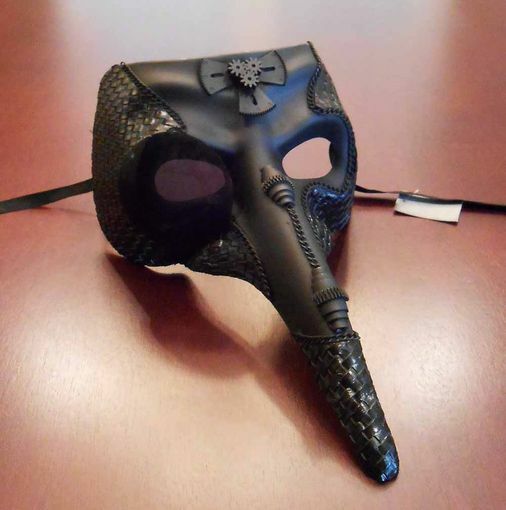 Steam Punk bird mask is hand made and painted. Mask is accented with large lens over right eye. Secures with black ribbon ties.